Moving into the 21st century brings new technology that has integrated and increased productivity in almost all parts of modern life. E-mail has replaced paper mail, social media has revolutionized the way we communicated, and there have been similar technological advances in home products. We’ll show you a few ways you can integrate technology into two of the most used spaces in your home, the kitchen and bathroom. 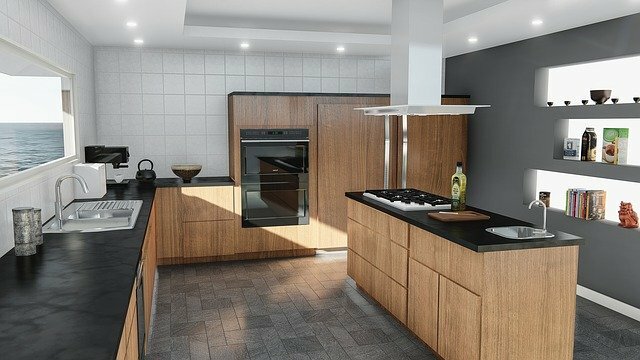 The main goal of kitchen technology is to decrease human error and increase productivity and functionality of the appliances and space. While tons of new inventions are not necessarily coming to the market, innovations certainly are moving the kitchen towards the future. Here are a couple ways to make your kitchen match the Jetson’s. The saying less is more applies when it comes to modern kitchen design, and the induction cooktop is an immediate necessity. Making up 60% of current stovetop sales, this cooktop is superior to traditional ceramic electric cooking with more even heat distribution, quicker heat speed, and a clean, sleek appearance with an exponential decrease in cleanup time and difficulty. 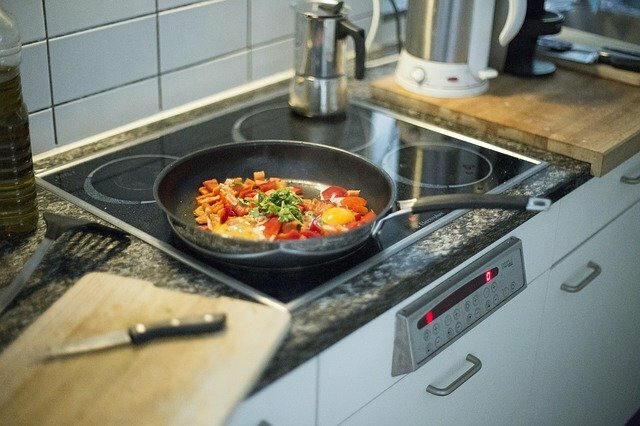 Gas-Range traditionalist may disagree with going the electric route when it comes to cooking, but when the choice is made an induction top is almost a “must-have” in this day and age. The future is now with appliances that have built in Wi-Fi capabilities. The Samsung T9000 Refrigerator has capabilities that allow you to search recipes with the items currently in your fridge, create grocery lists for items running low, and keep track of expiration dates to make sure you aren’t using an old piece of meat. Phillips is coming out with it’s own slow cooker called the HomeCooker neXt which will automatically set time and temperature for a chosen recipe via phone or tablet. Just hit start, and technology will take care of the rest. A bevy of other products are in pre-production, something to keep an eye on. If you consider yourself a professional chef, then a “Combi” oven might be something to invest in. Not to be confused with a convection oven (which only uses hot air), the combi oven allows users to individually control heat and humidity, giving additional functionality for roasting, braising, or even dehydrating meats. The cost of these ovens ranges from $2,000 to $10,000+. At the International Consumer Electronic Show 2016, Whirlpool featured a fully integrated smart kitchen that will have the capabilities of reminding to pack a child’s lunch, giving tips on heating temperatures, and reminding users of endless kitchen tasks in real time. While this concept does not have a specific release date, it is an exciting possibility with endless features. While homeowners can imagine many uses of technology in the kitchen, it might be harder to realize the potential of technology in the bathroom. While homeowner’s can imagine many uses of technology in the kitchen, it might be harder to realize the potential of technology in the bathroom. Bathroom technology generally focuses on luxury features. Let’s start with a feature that increases functionality, then move to a couple technological advances that can make your bathroom time more enjoyable. A germophobe’s dream, technology has been steadily released that requires no touching if surfaces throughout an entire trip to the bathroom. A touchless toilet kit by Kohler only requires a wave of the hand to flush, and there are plenty of touchless water faucet options to choose from throughout the market. Advances in technology and cleanliness go hand in hand here. The towel warming drawer is a feature that should be mandatory in all bathrooms. With an easy one-button start and a 2 hour automatic shut off feature, this technological advancement speaks for itself. When you need to jam out to Adele and the speaker on the counter technique just isn’t cutting it, think about buying one of the many Bluetooth enabled showerhead with integrated speaker. Again, Kohler makes a model that has excellent reviews. The ideas mentioned above are just the tip of the iceberg when it comes to technological advances coming to your bathroom or kitchen in the coming months and years. If you would like to fill your entire kitchen or bathroom with smart technology, find a professional that will listen to your ideas and make it happen. John Harvey leads content strategy at Kukun. He has been involved in content of all kinds; print, audio, and video, for more than five years. A current member of Team USA in the winter olympic sport of skeleton, when he isn't sliding head first at 80 mph, John can be found renovating anything and everything, specifically enjoying hardwood flooring restoration and refinishing.